New Delhi: A day after fugitive liquor baron Vijay Mallaya claimed that he met Finance Minister Arun Jaitely before leaving for London, BJP MP Subramanian Swamy on Thursday launched a fresh salvo at his party colleague and said it is an undeniable fact that Mallaya told Finance Minister in Central Hall of Parliament that he was leaving for London. Amid the war of words between the Congress and the BJP over Mallya's claim, Mr Swamy also alleged that Look Out Notice against Mr Mallya was diluted from 'block' to 'report' that enabled him to depart from the country. "We have now two undeniable facts on the Mallya escape issue: 1. Look Out Notice was diluted on October 24, 2015 from "Block" to "Report" departure enabling Mallya to depart with 54 checked luggage items. 2. Mallya told Finance Minister in Central Hall of Parliament that he was leaving for London", the BJP MP said in a tweet. the tweet by the BJP MP came out at a time when Union Minister Piyush Goyal and other party leaders were defending the Finance Minister from Congress president Rahul Gandhi's allegation that Mr Jaitley colluded with the liquor baron to facilitate his escape and demanded the former's resignation. Just after Mr Mallya said that he had met Mr Jaitley before he left India, Mr Swamy had started the attack against the Finance Minister while re-tweeting one of his old tweet from June 12, 2018, that Mallya "met someone who was powerful enough to change the Look Out Notice from blocking his departure to just reporting his departure". "Mallya could not escape from India because of a strong Look Out Notice for him at airports. He then came to Delhi and met someone who was powerful enough to change the Notice from blocking his departure to just reporting his departure. Who was that person who dilute this LON?" 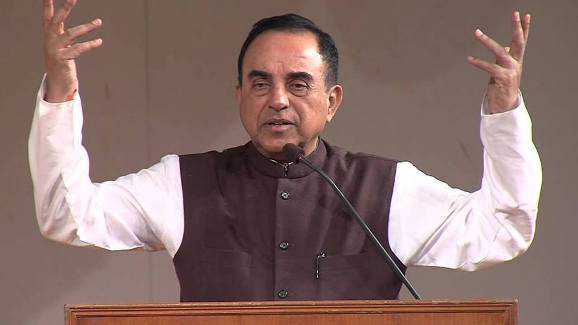 Mr Swamy said.